It's clear that you have 200% of Heechul's photos that is circulating in the internet [not to mention from his twitpic^^] but I'm posting these pics of Heechul and also Keun Suk anyway to thank you for the transfusion ^____^ Now my lap top is not so lonely anymore....I can see videos and listen to songs....thanx ! 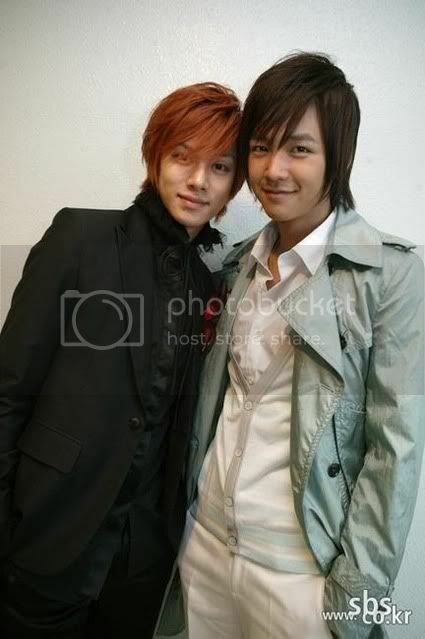 Don't Keun Suk and Heechul look very young here ? I suppose it was when they were hosting Inkigayo, ne? 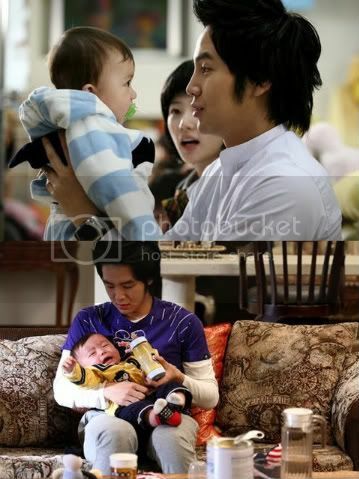 Hehe....I guess Heechul likes kids. ya onnie, you put my name on the title of post again, it is like i do something important for you. in fact you give me more than i do for you, at first time we meet and talk about Hyunjoong n SS501 u give me all your video collections also many pictures of them, so you are the one who deserve "BIG THANKS". but overall im happy to see Heechul with Geunsuk picts here hahaha, i didnt have those pict, i only have the another ver of it. How r u ??? Hope u have fully recover and getting on well. Saw your email to nermine and know that your PC got problem and ot feeling well . Are u still the busy bee as ever . Have not seen u in FB for soooo long . You know you have given me so much, coz I'm not good at IT and can't do a lot of things. Coz of you, now I can enjoy lots of music you know where [shhh ! !...nanti k'tahuan gapteknya ! ]. Of course I remember you !! It's just I'm a crazy busy bee, and I don't have time to hang around FB. I always enjoy your pics and infos in FB. Have a wonderful week, sis...take care.